Whether you're hitting the trail or the road, you'll stay dry and comfortable on your run with Columbia's water-and-stain repellant, super-cooling jacket. The high-tech fabric reacts with sweat to lower the jacket's temperature so you feel cooler. Pack the jacket into its security pocket to take it on the go with you. Whether you&apos;re hitting the trail or the road, you&apos;ll stay dry and comfortable on your run with Columbia &apos;s water-and-stain repellant, super-cooling jacket. 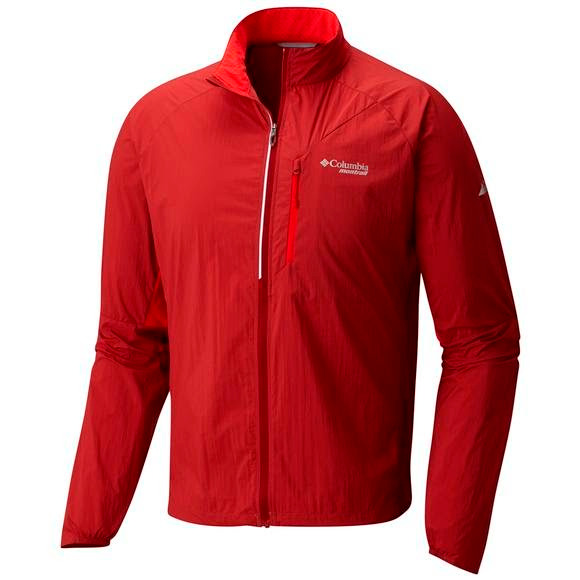 The high-tech fabric reacts with sweat to lower the jacket&apos;s temperature so you feel cooler. Pack the jacket into its security pocket to take it on the go with you.